Full Description: An image of a young person in SA uniform, seated holding an autoharp, with a fine metal-ended gilt-embossed Anglo concertina in Jeffries style on the nearby table. 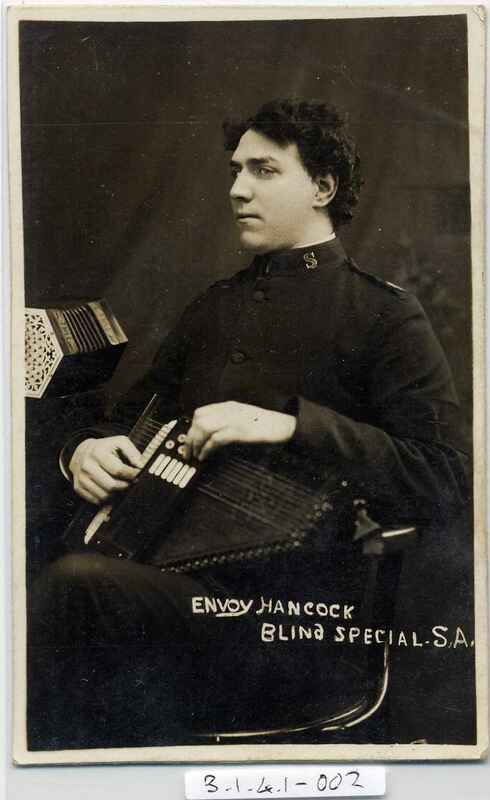 Image labelled in the plate "Envoy Hancock Blind Special.S. A."